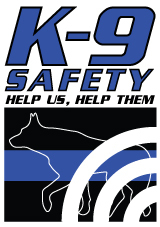 We have created, support, maintain, promote and operate the National Notification System, Blue Alert, that enables the communication between law-enforcement agencies, broadcasters, transportation agencies, and the social and wireless industries, to activate an urgent bulletin when a law enforcement officer(s) is seriously injured or killed. The intention of the bulletin is to inform the local and state-to-state law enforcement agencies and the public of the fugitives that are at large and to expedite their apprehension. We are working to bring support to the families of the fallen officers. The unexpected loss of life or the loss of everyday function can put a strain on these families. We are here to help in the most effective ways possible. The funds that we raise will help us help the foundations and families effected by such terrible loss. We are working Nationally to bring support to Local, State and Federal Law Enforcement Agencies all over the country by offering items that are necessary to the law enforcement officers jobs and safety. Your Donations and support will allow us to bring much needed items like Bullet Proof Vests, Arms, Ammo and more to Law Enforcement Agencies small and large.